"Vocal fry," an oddly named low-pitched vibration used by a growing number of young speakers, rumbled into the national consciousness in December after ScienceNOW published a story written by current SciCom student Marissa Fessenden. Fessenden's article, titled "'Vocal Fry' Creeping Into U.S. Speech," was published on December 9 at ScienceNOW, the daily online news site of Science magazine. By December 12, according to the site's editor, the story had become the most popular article ever published on the site—a period covering 15 years and more than 10,000 articles. National news aggregators drove traffic toward the story. Notably, links appeared on Gawker, Boing Boing, SlashDot, Reddit, the Huffington Post, and many other major discussion sites. As part of her submission, Fessenden recorded vocal fry in her own voice to demonstrate how speakers and singers reach their lowest registers. The .mp3 file helped the story gain traction with readers. "[It's] a real argument for multimedia web sites -- I had to hear it to understand completely," wrote one commenter in a Facebook thread. Fessenden found the original paper, published in the Journal of Voice, as part of a SciCom course assignment in a fall-quarter news course. She pitched the idea to ScienceNOW, then interviewed the study's authors and outside commenters. Seven other articles proposed by Fessenden's classmates also appeared on the site in November and December. Fessenden has a B.S. in interdisciplinary studies (biology and writing) from Cornell University. 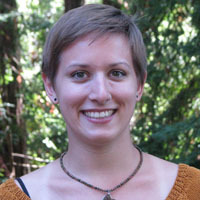 She enrolled in the SciCom program after working for two years as a research assistant in neuroscience labs at UCLA. This fall, she was a reporting intern at the Santa Cruz Sentinel. Starting in January, she will work as a multimedia intern at the SETI Institute's national radio program, "Big Picture Science."